Dartmoor Windows work in partnership with a large local fabricator to help create our Liniar profile French doors and a local specialist manufacturer to produce the double glazed sealed units. Working closely with our fabricators and manufacturers offers us more control of the quality of the finished product and, in turn, more variety to our clients with the glazing and hardware preferences that go into creating your unique made to measure French door. 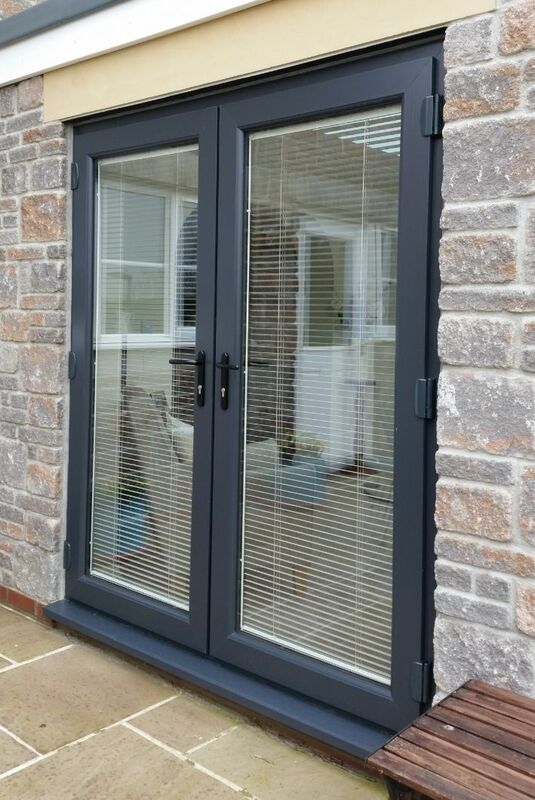 These high security uPVC French doors are produced using the same Liniar profile system as the windows and other door types; keeping the continuity of our uPVC Range. High security, insurance friendly multi-point hook locks, keyed alike barrels (6 key standard) and 6 hinges all help create these undoubtedly safe doors which, with the correct style, design and finish, are suitable for either the front entrance door or rear access door to your property. If the door leaf choice is opening outwards then door restrictors will be installed; this is to protect the surface mounted hinges in light wind conditions, both conserving the door from damage and the need for additional hooks and fastenings. FRAME COLOUR OPTIONS AVAILABLE - Flat White, White Grained, Irish Oak, Light Oak, Rosewood, Light Oak Ext / Flat White Int, Rosewood Ext / Flat White Int, Anthracite Grey Ext / Flat White Int, Chartwell Green Ext / Flat White Int, Black Ash Ext / Flat White Int. And for those wanting total colour control, sprayed RAL Colour Match Application finishes are available (additional costs will apply). GLAZING TECHNOLOGY - Our French doors are internally glazed with the latest 28mm double glazed unit technology. Our units benefit from Saint-Gobain 4mm Planitherm glass, argon gas-filled air gap and 20mm warm edge black super spacer creating an outstanding thermally efficient unit. This not only contributes towards money saving on heating bills, it also commits to being more environmentally friendly.